(3) those who believe a rupture might have occurred, but did not (and who therefore do not call for the revision or withdrawal of the document, and praise the good things in it). The Editorial ends with a call for Catholics to remain united even as they praise or blame the Pope’s text, since the unity of the Church is critical for her mission, and the opponents of the Church are only pleased if the Church suffers from internal divisions. Following the Editorial is a new article, just out today, which offers a 4th category of interpretation that is worth considering. It come in an article by Italian Vaticanist Sandro Magister, picking up on a text by French Dominican Fr. Thomas Michelet, who teaches at the Angelicum in Rome. First, then, is the text of the editorial…. 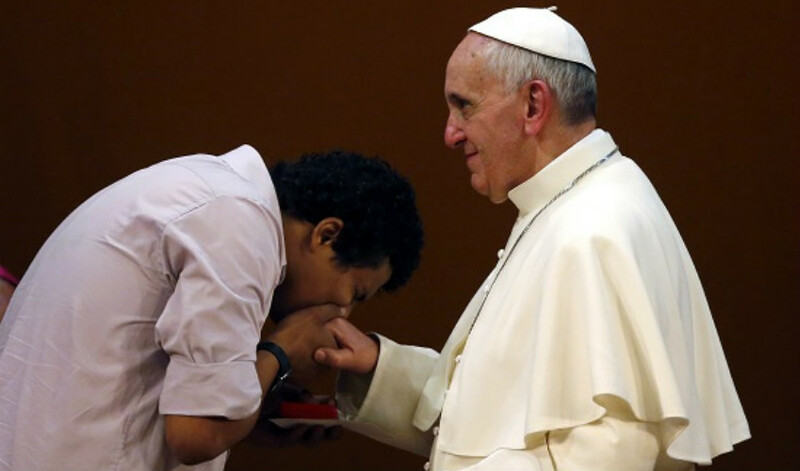 Francis in The Joy of Love has stirred up a hornet’s nest. 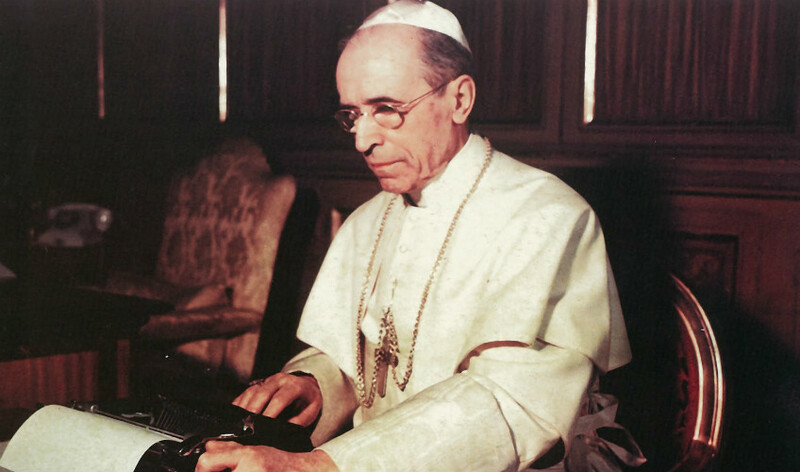 (2) to reach out to men and women in “irregular” situations (in particular, men and women who have married, divorced, then “remarried” without annulments), in order to “integrate” these men and women more fully into the life of the Church, up to and including access to the sacrament of the Eucharist. (3) Those who believe a rupture has not yet occurred; this might be called “the party of the footnote,” in the sense that those holding this position believe Pope Francis, if he had intended to change doctrine (which in any case, according to Catholic belief, is something he cannot validly do), he would have done so in the body of his text, not in a footnote (referring to footnote #351); men like Cardinals Gerhard Mueller, Walter Brandmueller, Raymond Burke and Bishop Athanasius Schneider, each in differing ways, seem to hold this third position. The position of Bishop Bernard Fellay, head of the Society of St. Pius X (SSPX), the traditionalist group which has been separated from Rome since 1988, but still hopes to return to union with Rome in the near future, is especially complex, but also especially relevant. And yet, despite this fierce criticism, Fellay on May 1 gave a homily where he stressed the need to remain… united with Pope Francis. “It does not mean that we approve the evil that is done; far from it, we reject it and guard ourselves from it. But at the same time we recognize that in the Church there is something stronger and greater than the things we see: there is God, the infinite God, infinitely holy, infinitely good. Even as he criticizes Francis, Fellay clings to the Church. “There is no other path,” he says. Words all of us can well keep in mind. And here is an important piece circulated today by Vaticanist Sandro Magister (link). ROME, May 16, 2016 – At a distance of almost two weeks, not a single line has appeared yet in L’Osservatore Romano concerning the monumental discourse delivered by Cardinal Gerhard L. Müller on May 4 in Oviedo for a correct interpretation of the post-synodal exhortation (link). While on the other hand almost every day the newspaper of the Holy See devotes useless space to the empty plaudits of this or that cardinal in praise of the papal document. What follows is another contribution that moves in the same direction of interpretation, accurate and constructive, of Amoris Laetitia, in particular of its little footnote that has become its interpretive cross. It is footnote 351, hailed by progressives as the “open sesame” of communion for the divorced and remarried, but in reality not as affirmative as they claim. This commentary first appeared in French in Riposte Catholique. One key element of Fr. Michelet’s analysis is the credit that he gives to the response of Pope Francis — at the press conference on the flight back from the island of Lesbos — to the question of where there are truly new possibilities now that did not exist before, in support of access to the sacraments for the divorced and remarried. Because the unassailable matter of fact remains: in the judgment of Francis, there is something new. And so one may not maintain that what is said in Familiaris Consortio continues to apply unchanged, and that’s it. Fr. Michelet identifies precisely what is new that Francis is supposed to have introduced into pastoral care for the divorced and remarried, without explicitly breaking with the perennial doctrine on the Eucharist and marriage. But how this process — vaguely hinted at by the Pope — will be understood and put into practice in the Church remains to be seen. The beginnings are those of a Babel. The commentaries are multiplying, becoming ever more contrasting, with regard to a simple footnote of the post-synodal apostolic exhortation “Amoris Laetitia” on love in the family, the now famous footnote 351. On one side Bishop Athanasius Schneider, Professor Robert Spaemann, Professor Roberto de Mattei, and some others have decried a change of discipline contrary to Catholic doctrine, which would consist in allowing communion for the divorced and remarried; something that in effect certain imprudent and poorly informed pastors say is now possible. This could therefore lead one to say that the Eucharist can be received in a state of grave sin, or that remarrying after a divorce is not a grave sin, which would therefore mean that marriage is not an exclusive and indissoluble commitment. The subsequent stage would be that of proceeding with the blessing of second civil marriages, or even of second sacramental marriages. Needless to say, all of this is perfectly contrary to the teaching of the Church, founded on the Word of God. About this there is no question. On the other side Cardinal Müller, Cardinal Burke, and most of the bishops instead affirm that the document has not changed in any way the doctrine and discipline of the Church, as presented by Pope John Paul II in Familiaris Consortio, no. 84. This is also the position of Cardinal Schönborn, entrusted with the official presentation of the document in the press office, to whom Pope Francis referred further consultation during the press conference on the way back from the island of Lesbos. Nonetheless, on the same occasion the Pope replied in the affirmative to the question of whether the document concretely changed anything concerning access to communion for the divorced and remarried: “I can say: yes. Period.” It is therefore difficult to maintain the contrary and hold firm that nothing has changed, against the Pope himself. In reality, both positions are right. On the one hand the document has not changed doctrine and discipline in that which is founded on the Word of God, because it could not do so. It is needless to affirm that it has done so, because it did not have the power. On the other hand, something has indeed changed, but only in that which could be, without touching doctrine and the discipline that results from it. At the least there is a pastoral change, in acceptance and long-term accompaniment. But there is more, according to the Pope. Footnote 351 follows number 305 of “Amoris Laetitia,” which recalls that in an objective situation of sin it is possible not to be subjectively culpable. This is well-established doctrine, because in order to commit a mortal sin grave matter is not enough; full knowledge and deliberate consent are also required (Catechism of the Catholic Church 1415). Confessors are well aware that a penitent may not confess an objectively grave act because he has no idea that it is a sin. Now, a “material sin” cannot be turned into a “formal sin.” If this is the case (but one must make sure of it), the penitent can then validly receive absolution. But at the same time the confessor has the duty to straighten out the deformed conscience, for the sake of reforming it; this can take time and therefore require adequate spiritual accompaniment. It is not enough to recall the law from the outside: it is also necessary that the person truly understand and accept it on the inside. The document says nothing different. This case is already well established in the doctrine and practice of the Church, even if it is part of that “science of the confessional” which the faithful are presumed not to know, because it presupposes a good formation in moral theology and a good practice of the confessional. The innovation of the document is above all here: in the fact of presenting in full light a practice that previously remained in the shadows, in the secrecy of the confessional. Not because it is shameful, but because it presupposed keys of comprehension that many do not have and cannot have. So now is this perfectly legitimate and doctrinally well-founded practice also being extended to the divorced and remarried? Footnote 351 does not say so expressly. But it also does not rule it out. Now, if it were to rule it out, that would not change in any way the current practice as presented by Familiaris Consortio. But if one is to grasp what the pope is saying, namely that something that did no exist before is now possible, it is there that one must look. With that, the regime of Familiaris Consortio has effectively changed. Not in the sense that sinners aware of their grave sin go to receive communion: this is not possible and will never be so. But in the sense that persons who do not know they are in grave sin can receive “the help of the sacraments” until they become aware of this sin in spiritual accompaniment. They will then stop receiving them until they have changed their way of life to conform fully with the demands of the Gospel, according to Familiaris Consortio. This is not a matter of making an exception for them, but rather of applying to them the general regime already established for all other cases. Familiaris Consortio recalled that it was not possible to give communion to the divorced and remarried, because it was thought that such ignorance was impossible in their situation. In effect, just as sin is not committed without knowing it or wanting it, in the same way there is no marriage without knowing and wanting it. And therefore either every attack on the fidelity of the marriage was necessarily culpable, or if the person had truly acted unknowingly, this meant without fail that his sacramental marriage was null “ab initio,” that it had never existed, in the absence of true consent to what marriage is. Now, the progress of psychology and at the same time the “progress” of a society confused and with no point of reference make it so that ever more persons are unaware of that which was once evident to all. With the effect that what applied to all the other categories of sin also does to the divorced and remarried. One cannot fail to notice that this is happening. Even if the conditions are extremely strict, the cases are ever more numerous, in proportion to estrangement from the Church. While distinguishing the situations, John Paul II had maintained the rule, for a pastoral reason and therefore out of a prudential decision, for the sake of avoiding scandal. It is therefore not contrary to divine doctrine and law that Pope Francis should make another prudential decision, taking into consideration these possibilities of the distortion of conscience, while still holding firm the rule of avoiding scandal (AL 299). 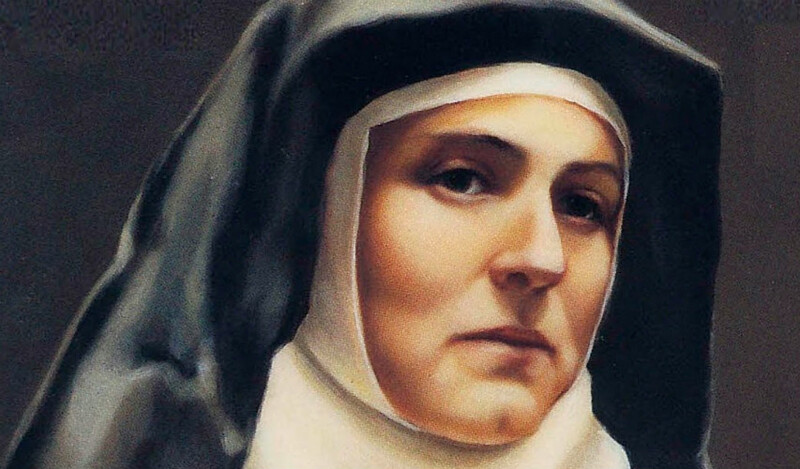 It is not that sinners are allowed to “sort it out with their conscience”; it is that one must now start from much farther away in order to be able to reconcile a sinner with the Church. Because consciences are ever more deformed, and one must therefore reform them first of all in order to allow them to advance on a journey of perfection. But the pope is clear on the fact that all are called to conversion: “missionary conversion” for pastors; conversion to the demands of the Gospel for sinners. This conversion simply cannot be presented as a preliminary and an insurmountable obstacle; it must be the goal that is aimed for, toward which to proceed resolutely, even if this takes time and comes by stages. God has always done this with his people. “With an eye to his retirement, my father bought an old, likewise very simple farmhouse in Hufschlag near Traunstein. Instead of tap water, there was a well, which was very picturesque. On one side of the house there was an oak forest interspersed with beeches, on the other side were the mountains, and when we opened our eyes in the morning, the first thing we could see was the mountains. In the front we had apple trees, plum trees, and a lot of flowers that my mother had cultivated in the garden.” —Ibid. “From the very beginning — it was exactly the same for my brother and sister, I think — I had a lot of interest in the liturgy. My parents had already bought me my first missal when I was in the second grade. It was actually terribly exciting to penetrate into the mysterious world of the Latin liturgy and to find out what was actually happening, what it meant, what was being said. And so then we progressed by degrees from a children’s missal to a more complete missal, to the complete version. That was a kind of voyage of discovery.” —Ibid. “When later Cardinal Faulhaber paid a visit to our region, with his imposing purple, he impressed me all the more, so that I said, I would like to become something like that.” —Ibid. 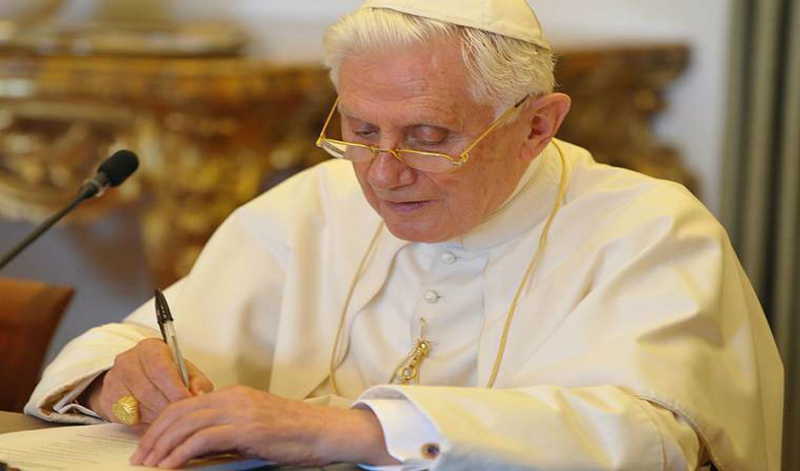 I’m writing to invite you to join our first Inside the Vatican Signature Pilgrimage to Rome and Germany “In the Footsteps of Emeritus Pope Benedict XVI” from June 26 until July 6, 2016. This pilgrimage will be in search of the wellsprings of Benedict’s thought and action, and will also be in honor of him, for it will begin on the 65th anniversary of his priestly ordination. Benedict was ordained a priest on June 29, 1951, at the age of 24, together with his older brother, Monsignor Georg Ratzinger, who is also still alive — they were both ordained at the same Mass. Their 65th anniversary as priests falls on June 29. For this reason, the pilgrimage will begin in Rome, to be in Rome for that anniversary. This will also allow us to attend the great celebration of Feast of Saints Peter and Paul in St. Peter’s Square. The feast of these two patron saints of the Church of Rome is celebrated every year on June 29. During our first three days, we will see some of the places in Rome which were most important to Pope Benedict, as Rome is Benedict’s second home. He has lived in the city since 1981 — for 35 years. After visiting Rome and the Vatican, and talking with people in Rome who have long worked and lived with Emeritus Pope Benedict, we will turn our steps toward Germany, where he was born. While on pilgrimage, we will be reading Benedict’s writings, studying them, and coming to understand better his mind and heart. In particular, we will read Dominus Iesus (“The Lord Jesus,” published in the year 2000), a text he wrote at the request of Pope John Paul II. Day by day, we will explore the development of Benedict’s life and thought. He was a somewhat “liberal” theologian as a young man, but became more conservative after 1968. During his papacy, Benedict XVI advocated a return to Christian faith and sacramental life to counter the increased secularization of many Western countries. He has said that relativism’s denial of objective truth, and the denial of moral truths in particular, is the central problem of our time. He revived a number of traditions, including recognizing that the Tridentine Mass had never been abrogated. He has always loved music, especially Mozart. 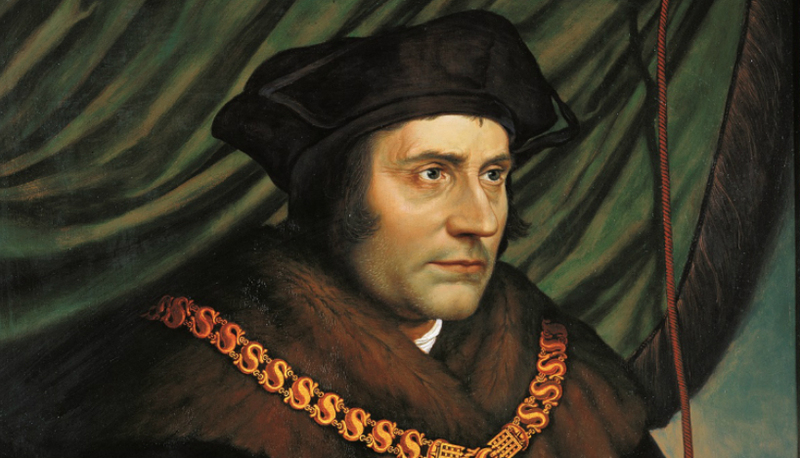 He has been described by some as “the main intellectual force in the Church” during the past half-century. Through readings I am choosing, we will have a chance to glimpse the essence of his thought. After we leave Rome we will go from his “second home” to his “first home”: Bavaria, in southern Germany. For six days we will visit the places where he was born, grew up, studied, preached and worked as a bishop. We will visit his birthplace (Marktl-am-Inn in southern Germany). We will visit the little towns he lived in as a boy when his father, who was a policeman, was forced to move house to take new postings — all in Bavaria (Traunstein, Tittmoning, Aschau). We will visit places he himself visited on pilgrimages with his mother, brother and sister, especially Altoetting, a Marian sanctuary that is one of the most beautiful places in the world, a place of peace and profound holiness. We will visit the church where he was ordained 65 years ago. We will visit the places where he taught as a university theologian, in Regensburg and in Munich. In Regensburg, we are scheduled to meet with Benedict’s brother, Monsignor Georg Ratzinger. We hope to be able to talk with him about his younger brother and their life together over the decades — the two still spend several weeks each year together. 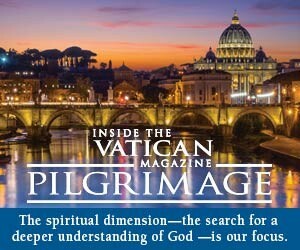 There may be few better ways to get to know the mind and heart of Pope Benedict than to join us on this pilgrimage. I hope you will join me on this profound spiritual journey. or to reserve your place! P.S. 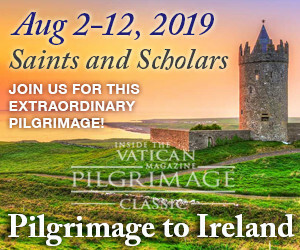 There are always many things we could do with our limited time, of course, but this particular pilgrimage will be so extraordinary that you may regret missing it. It will only take 11 days, and yet it will bring the entire life and work, mind and heart, of Pope Benedict into focus. I hope you will consider joining us!